02 Apr	This entry was published on 2 April, 2015 at 08:00. It’s filed under Commerce, Mainz, Yum and tagged Kaffeekommune Zwei, Paul Bonna. Bookmark the permalink. Follow any comments here with the RSS feed for this post. No kidding. Thank goodness you returned in time. 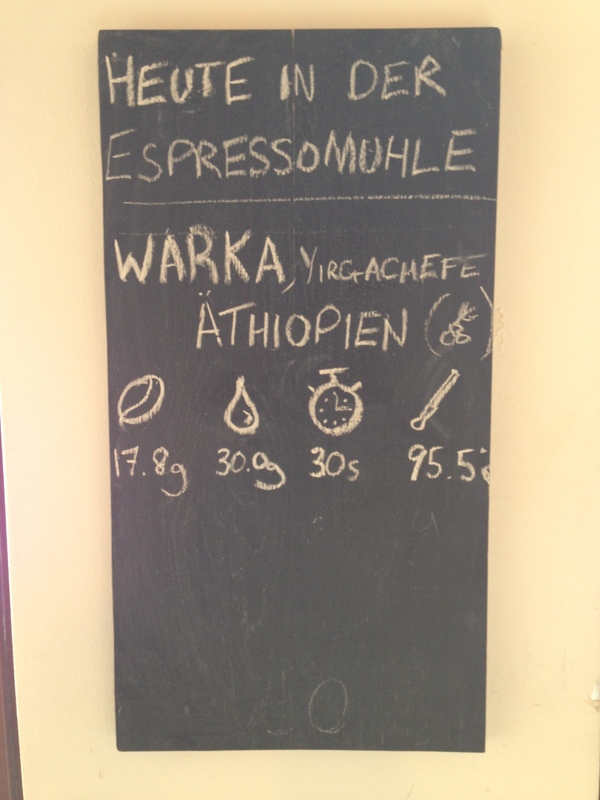 17.8g of espresso, 30g water, 30 seconds at 95.5°C. Please to translate, Herr JB.